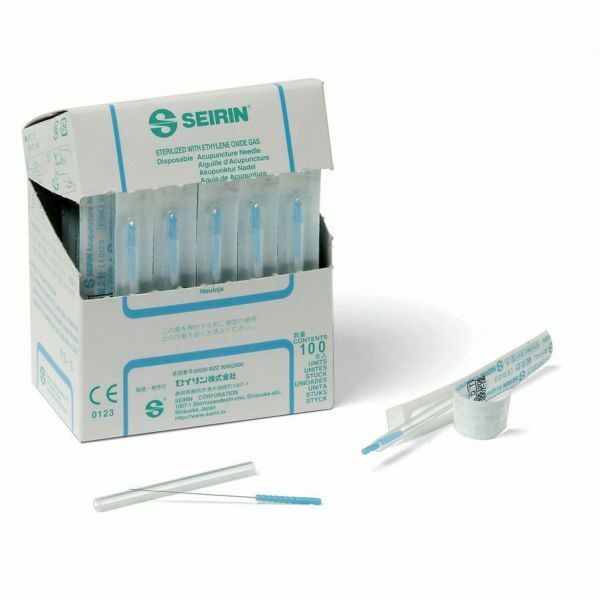 Seirin J-Type SEIRIN J-Type needles feature an easy release comfort grip handle with Light Touch Insertion and are color coded for easy size identification. Seirin J-Type SEIRIN J-Type needles feature an easy release comfort grip handle with Light Touch Insertion and are color coded for easy size identification. Made from only the highest quality surgical stainless steel, needles are synonymous with gentle, painless, and stress free acupuncture. The guide tube edges are rounded for the patient's comfort and the shaft of the needle body is centered on the handle to ensure accuracy during treatment.